Etihad Airways, Department of Health (DoH), Zaviyar and White Hunters booked their spots in the semifinals of the ADC 6th Sandy League. Etihad Airways outplayed First Club by 74 runs, while White Hunters too had a smooth ride past Thrifty with a 68 run win. Department of Health also cruised past Strikers but Zaviyar CC were made to sweat against LLH on their way to a narrow 1 wicket win. 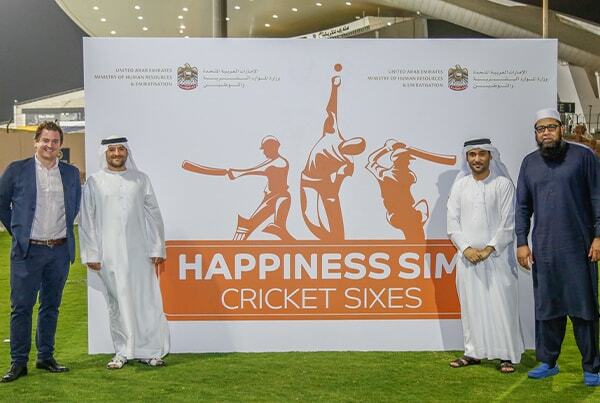 All the matches were held by the Abu Dhabi Cricket Council at their grounds in Abu Dhabi. In the semifinals to be played on 12th of April Zaviyar will clash with White Hunters and Etihad Airways will take on Department of Health. Put into bat LLH managed 163 from 20 overs. Safeer Ahmed (31), Akhil Das (31) and Jalal Bukhari (22) were their main scorers. For Zaviyar it was Ghullam Murtaza, Zubair Khan and Fayaz Ahmad who bagged two wickets each. Man of the match Ghullam (35) was instrumental with the bat too in helping Zaviyar sneak out a last ball win. Etihad Airways had man of the match Ahsan Riaz (76) and Adnan Nisar (69) to thank for a total of 204. Later their bowlers Irfan Junaid (3-31) and Kabir Khan (2-19) reduced First Club to 130. 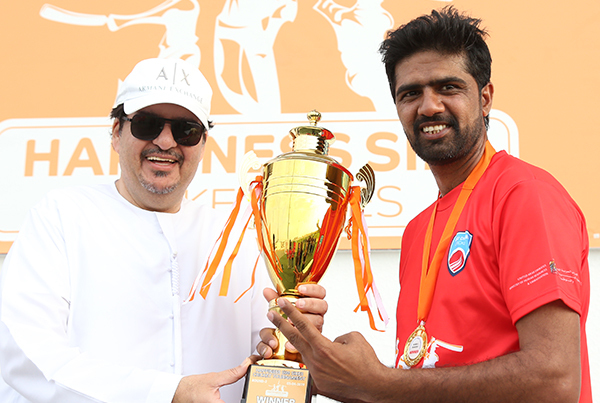 Abdullah Abbas did a star turn for White Hunters with 45 runs and four wickets. Thrifty won the toss but lost the plot by inviting White Hunters to take first strike. Abdullah, Mohamed Irfan (50 not out) and Mushtaq Ahmad (43) guided their team to 201. Thrifty could muster only 133 in reply after Abdullah was impressive with the ball and received good backing from Mohamed Asif (3-8) and Bilal Sajid (3-25). For Department of Health Babar Ghazanfar played an allround role. He hit 44 and later grabbed four wickets in their 25 run win over Strikers. 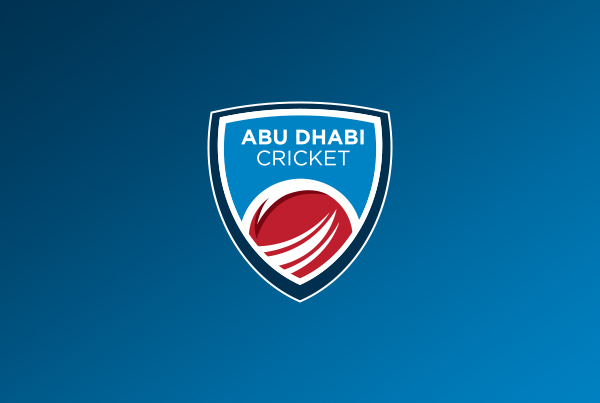 Etihad Airways 204 for 9 in 20 overs (Ahsan Riaz 76, Adnan Nisar 69; Humayun Zahid 3-34, Mohammed Usman 2-42) First Club 130 for 9 in 19.1 overs (Ali Asheaq 60; Irfan Junaid 3-31, Kaber Khan 2-19). Man of the match: Ahsan Riaz. White Hunters 201 for 8 in 20 overs (Mohamed Irfan 50 n.o., Abdullah Abbas 45, Mushtaq Ahmad 43; Mohamed Siraj 3-34, Mohamed Sabir 2-24) Thrifty 133 all out in 17.4 overs (Sajed Khaleel 31, Mohamed Muzamil 25; Abdullah Abbas 4-31, Mohamed Asif 3-8, Bilal Sajid 3-25). Man of the match: Abdullah Abbas. DoH 182 for 7 in 20 overs (Nadeem Askanz 46, Babar Ghazanfar 44, Inam Fareed 38, Zaheer Baig 25; Mohamed Sultan 3-34, Kapil Lalwani 2-42) Strikers 157 all out in 19.3 overs (Kailash Goel 49; Babar Ghazanfar 4-26). Man of the match: Babar Ghazanfar. LLH 163 for 9 in 20 overs (Safeer Ahmed 31, Akhil Das 31, Jalal Bukhari 22; Ghullam Murtaza 2-30, Zubair Khan 2-36, Fayaz Ahmad 2-22) Zaviyar 165 for 9 in 19.5 overs (Fayaz Ahmed 43, Abdullah Qayum 36, Ghullam Murtaza 35; Jalal Bukhari 3-24, Akhil Das 2-41, Sibil T 2-19). Man of the match: Ghullam Murtaza.